Many thanks to all the speakers and delegates for helping to make Wolves & Apples 2016 a great success. A day of practical advice and guidance for anyone writing for children and young adults in whatever genre. Established professionals – including authors, agents, editors and publishers – will be on hand to share their experiences and to signpost ways of progressing your writing. 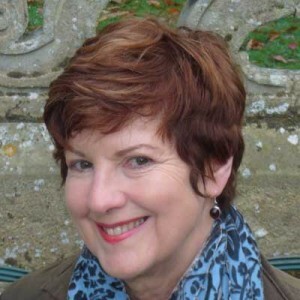 Celia Rees has written over twenty books for older children and teenagers, and has become a leading writer for Young Adults with an international reputation. Her books have been translated into 28 languages and she has been short listed for the Guardian, Whitbread and W.H. Smith Children’s Book Awards, as well as numerous regional awards in the UK and America. Witch Child won the prestigious Prix Sorcières in France in 2003, and the Di Cento Prize in Italy, 2001. She is a regular tutor for the Arvon Foundation, and former Chair of the Children’s Writers and Illustrators Group. Celia’s workshop will focus on how to create a credible teen protagonist in your work, including that all-important ‘Voice’. My favourite book changed as I grew older. When I was very young, my favourite book was ‘Winnie The Pooh’ (I identified with Piglet). I read it to my daughter and still find it funny now. I also liked ‘Noddy’, but don’t think that has the same staying power. When I was older, I liked reading series: Richmal Crompton’s ‘Just William’ and Enid Blyton’s ‘Secret Seven’. I didn’t like the ‘Famous Five’, I preferred Malcolm Saville’s ‘Lone Pine’ Series. I also read historical fiction: Rosemary Sutcliff, Geoffrey Trease, Henry Treece. I’ve always loved history, so it was an exciting way of finding out about it. I had an older brother and I read all his boys’ adventure stores, including classics like ‘Treasure Island’. When I was a teenager, my favourite books were ‘Dracula’ and ‘Catcher in the Rye’. Read a lot. Find out how other writers do it. That’s how I learnt to write. Write because you want to write not because you want to be a writer. Write as often as you can but don’t try to write a whole novel right away. It’s better to write shorter pieces, descriptions of things, people, places, than get stuck and bogged down. If you have an idea for a story write it down. If it doesn’t work, never mind. Keep it. It might well work with another idea and you might get a better story out of it. What is the best thing/do you enjoy most about writing for children? The most exciting thing is when you have a really good idea. I enjoy research – collecting books, facts, articles, pictures, visiting places and taking photographs. I love the actual process of writing when it’s going well. Best of all, I like to hear from readers, to know that someone read your book and really enjoyed it makes it all worthwhile. Elys Dolan is an author and illustrator (Weasels and Nuts in Space). She was shortlisted for the Waterstones Children’s Book Prize 2014, Nominated for the Kate Greenaway Medal 2014, shortlisted for The Roald Dahl Funny Prize 2013, second place in the Macmillan Prize 2011 and shortlisted for Waterstone’s Picture This 2011. Elys’s workshop will be a crash course in writing for picture books. Bring along your own story idea and learn about the anatomy of a picture book, how to structure your story and how to write for illustration. The series of books I always remember is ‘The Little Dracula’ books by Martin Waddell and Joseph Wright. I loved these books when I was a child because there’s so much going on in them you could go back to them and always find something new. They’re a combination of the hilarious and the gory. Somewhere in them I’m sure there’s a butler playing lawn bowls with a zombie’s head so what’s not to love? Write about what you enjoy not necessarily just what you think children want to read. Often I find people treat children like some amorphous lump with the same likes and dislikes, who will all be entertained by the same thing when, of course, they’re individuals. Some will share the interests and passions you put into your work and others won’t, but you can’t expect anyone, child or otherwise, to find something amusing if you don’t. So write about the things you love. What advice do you wish you’d be given when you started out? The ‘write what you enjoy’ tip would have been useful. Along with that I wish I’d known it would take twice as long as I expected and be double the work but that all the effort would pay off. Also it would have been handy if someone had taught me basic accounting and where exactly you should put a comma. Liz Flanagan worked in children’s book publishing for many years and is also an author (Eden Summer). 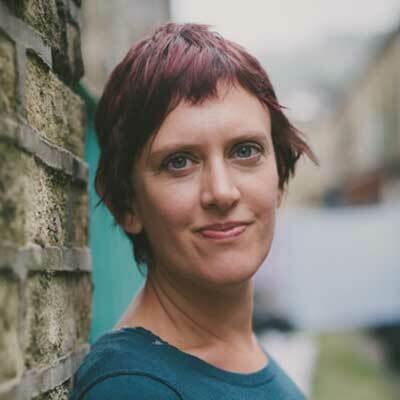 In her former role as director of Lumb Bank (the Ted Hughes Arvon Centre), she supported a fresh batch of writers every week and enjoyed witnessing the transformations that so often happen as writers move on with their work. 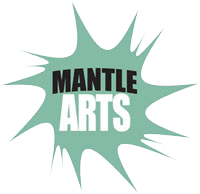 She has also been an Artistic Assessor for Arts Council England. Liz will be running a workshop on ‘Kickstarting your Novel’, with exercises designed to generate exciting ideas and characters, and help you structure your story. Whether you are writing for teenagers or younger children, whether you’re detailed planner or like to wing it, this session will equip you with the tools you need to make a start. My favourite book probably changed several times a year, but I always loved books that combined magic and adventure. I loved writers like Susan Cooper, Ursula Le Guin and Robert Westall. My favourite author was probably Margaret Mahy, whose YA novels ‘The Changeover’ and ‘The Tricksters’ still count among my most beloved reads of all time. Try to put doubt and critique aside as you write the first draft. Whatever tricks and bargains you need to make with yourself, just let it tumble out, as playful and unstructured as you like. Editing is a whole different skill, and a very important one, but it comes later, and you just need to get the words out first. Going back to my first answer, it’s probably some combination of magic and adventure. I think you get to ask big questions in writing for children, but you also get to keep some magic. I’d say children and young adults are very eagle-eyed readers, so you need to up your game and work hard on plot and characterisation, too. But the best thing of all about writing for children and young adults is getting to meet readers at events – I love that part of the process. Ben Galley is the author of ten titles. He started out with The Emaneska Series, an epic fantasy comprised of four books before writing the comprehensive self-publishing guide, Shelf Help, and then launching into a new weird west venture – the Scarlet Star Trilogy. As an indie author, Ben does everything by himself. He writes, sketches the maps, manages the publishing, does the marketing. Ben’s Session will explore self publishing, the advantages and the potential pitfalls. Definitely ‘Lord of the Rings’. It was the sheer depth of it – the fact that I could actually experience another world just by flipping a page. That ignited something in me. Write every day, even if it’s just a little. Writing is all about practice. Even the greats are still practising, day after day. Set yourself a goal of writing every day, and you’ll find your flow and confidence a lot faster. What advice do you wish you’d been given when you started self publishing? That it’s important to pay an editor. I didn’t have enough money when I was publishing my debut novel in 2010, but it’s cost me more since to fix the errors and republish. It’s also resulted in a few negative reviews, which can damage a book’s sales. Fortunately, it’s now professional, but it’s always best to spend the money, bit the bullet, and make your book as perfect as possible for launch. 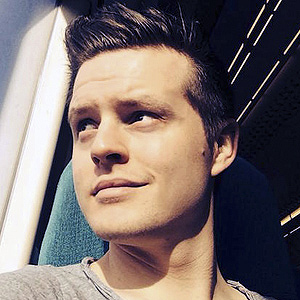 Ben will be offering a limited number of one to one sessions in which he will give feedback on your writing and advice on potential ways ahead. Details of how to apply are sent to everyone with a place at Wolves and Apples 2016. Gabrielle is an author of books for children aged 8+. Her Alfie Bloom series has been published by Scholastic across eight countries, and follows the story of a boy who inherits a castle with a dangerous secret. 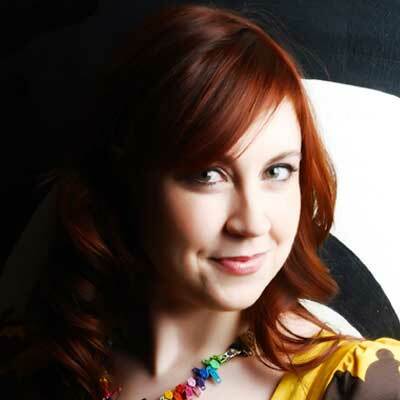 Gabrielle has worked in and around the games industry since 1996 and has developed games for Playstation, Xbox and PC. She is Deputy Head of the Computer Games Department at Teesside University where she lectures in Game Design and directs and organises the Animex Festival. 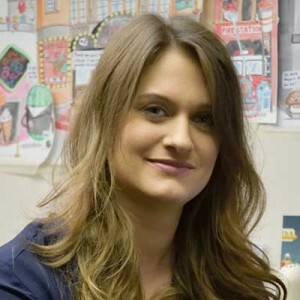 She was voted one of the Top 100 most Influential Women in the games industry in 2006, 2013 and 2015, and received a Woman of the Year award from MCV magazine in 2015. 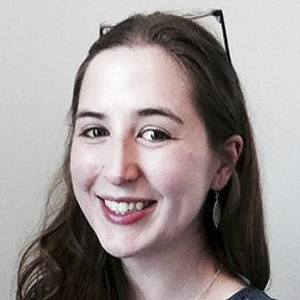 Gabrielle’s session will explore the possibilities of digital storytelling, including an introduction to interactive fiction via a fabulous free tool. Kesia Lupo is Editor at Chicken House, a small, highly individual children’s book publishing company headed by Barry Cunningham. She has worked in adult fiction editorial at Pan Macmillan. Currently the lead coordinator of the Times/ Chicken House Children’s Fiction Competition – the biggest children’s writing competition for unpublished authors in the UK. She loves working with debut writers and developing new talent. She’s a huge genre fan, and is writing an adult fantasy novel in her spare time. Kesia’s talk will look at the world of children’s publishing business and how writers can navigate through it. Chris has always loved unsettling and creepy stories. He has fond memories as a teenager of buying comics like Strange Tales and House of Mystery, watching classic BBC TV adaptations of M R James ghost stories every Christmas and reading assorted weirdness by everyone from Edgar Allen Poe to Ray Bradbury. He hopes his books will haunt his readers in the way those writers have haunted him. 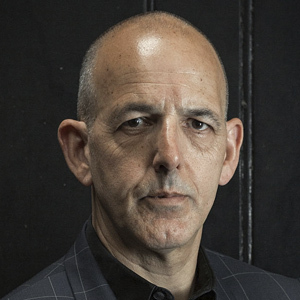 Chris’s workshop will be about writing effective short fiction for young people, in particular creepy atmospheric tales that evoke a shudder.